Supermarkets could find themselves facing a bill for £68 for every abandoned shopping trolley cleared from the streets of Crawley. Crawley Borough Council is considering introducing the charges after concerns were raised about the increasing number of trolleys being dumped in the area. A report due to go before the council’s cabinet later this month stated that, during a survey carried out once a week over a four-week period, 76 trolleys were found, with 14 not picked up for more than a week. As well as causing traffic hazards, blocking pavements and becoming a focal point for fly-tipping, the report said that abandoned trolleys gave the impression that an area was less attractive and less safe. Most of the trolleys were dumped in the West Green, Northgate, Broadfield, Langley Green and Southgate neighbourhoods, while none were reported in Forge Wood, Furnace Green, Gossops Green or Three Bridges. The majority found were from Morrisons. While Asda, Sainsbury’s, B&Q, Tesco and Lidl have all signed up to the Trolleywise retrieval service, the financial cost of collecting, returning and disposing of other uncollected trolleys, falls on the council. Cabinet members will be asked to recommend that the council use statutory powers under the Environmental Protection Act 1990 to introduce the charges from February 22. The proposed charges are: £27 for the collection of the trolley, £15 to store it, a £26 administration fee, and £10 for disposal of the trolley. The charges will rise for each week the trolley is left unclaimed, culminating in court fees and an extra charge of £60 if the council is forced to recover the debt through legal channels. The report stated: “The intention of the introduction of a scheme and charges is that it will provide a strong deterrent effect, encouraging supermarkets and retail outlets to ensure that they employ methods to prevent their trolleys being taken off site and from being left uncollected. 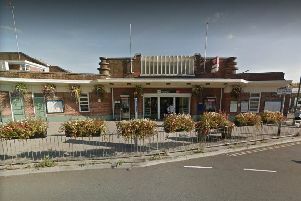 Other authorities, including Horsham District Council, reported a ‘significant improvement’ since introducing similar schemes.